Regulated by the Faculty Office of the Archbishop of Canterbury. 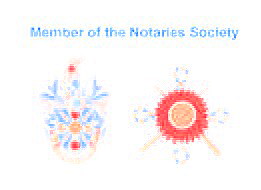 Member of the Notaries Society. After pursuing a number of careers I qualified as a Solicitor in 2000, from which I am now retired, and was granted my faculty to practice as a Notary Public in 2004. In addition to my practice as a Notary Public I also further my studies in Constitutional Law. Note: There is easy parking. I normally arrange to see clients at my offices but alternatively I can see you at your business address or at home subject to an agreed fee. The document or documents which require my seal and signature. Do not sign or have it witnessed beforehand. Everything must be done in my presence. Any instructions which have been given by the lawyer who has prepared the document. There are sometimes requirements about signing each page or even the colour of the ink. Your passport or if you have no passport a government issued document which bears your photograph such as a modern driving license and documents which proves where you live such as recent utility bill or bank statement. If you have difficulty producing such original documents I shall need to discuss with you what evidence of identity I shall need to see to satisfy myself that you the person you say you are. If you have received the document electronically please forward to my email address in advance of the appointment. Please check the document carefully for errors in your name, address and passport number. Potential clients often phone and say they need a notary to “witness” a document. Anyone who has mental capacity can witness a document while a Notary Notarises a document. A Notary is, like a solicitor, regulated and insured. A Notary must ensure, unlike a simple witness, the client provides evidence of identity, they have mental capacity are not acting under duress and have read understood and agreed to be bound by the document they are about to sign. Thus when a client sees a Notary first a form must be completed then a photocopy of the proof of identity is taken then if necessary the Notary will discuss the document to be notarised. After the document has been signed it is necessary for the Notary to attach his or her signature and seal. The notarised document must then be copied and the details entered in a register. Like a solicitor Notary charges are based on the time spent. Potential clients will often phone or e-mail and ask for a quote to notarise a document. That can be difficult without seeing the relevant document. I charge £200 per hour and as will be seen from the explanation above most Notarial appointments take at least 15 minutes and the average is 20 minutes, resulting in a fee of £50 or £70. However Notarising a copy passport, for example, would typically incur a fee of £30 while a Spanish or French Power of Attorney would usually incur a fee of between £80 to £100. If I need to travel to you the travel time would be charged at the above hourly rate. A client of a Notary would be responsible for any fees payable to the Foreign and Commonwealth Office and/or Foreign Consulates, Company Registry Fees, courier fees and postal charges. No fees would be incurred without approval being first obtained. Fees can be paid by cheque, cash or by card. Some countries require a document to be legalised. This is a process by which a state agency confirms my seal and signature as those of an English Notary. The Foreign and Commonwealth Office attaches an Apostille to the document. Some countries require a document then to be stamped at their London Embassy in addition to the Apostille. The process will normally take three days for an Apostille and up to an additional week if an Embassy stamp is needed. MY FEES: Like a solicitor the fees of a Notary are determined by the time spent. My hourly rate is £200. In my experience the average appointment lasts between 15 and 20 minutes which would result in a fee of between £50 and £70. Some matters, for example notarising a copy passport, take less than 15 minutes resulting in a reduced fee while others take longer than 20 minutes, for example, Spanish Powers of Attorney, which results in a greater fee. FIXED FEES: I may, in the case of straight forward matters, agree with you beforehand a fixed fee. If however at the appointment the matter proves to be more complicated or there are more documents or people involved than you indicated or legalisation is required, I reserve the right to renegotiate the fee or agree to charge you at my hourly rate. V.A.T. : I am currently not registered for VAT. DISBURSEMENTS: You are responsible for all payments which I make on your behalf. Typical examples are legalisation fees paid to the Foreign and Commonwealth Office and/or an Embassy, legalisation agents’ fees, Companies House fees, couriers fees and special postage charges. However I shall not incur these expenses without first obtaining your consent to do so. PAYMENT: My charges are normally payable on the signing of the document or on the receipt of the notarised document. If I render a bill in respect of the work, payment will be due when you receive the bill. Please note we have no facilities for payment by card thus a cheque or cash will be required. TIME CHARGE: This includes all work undertaken on your matter from start to finish including preliminary details and advice, preparation, attendances, drafting, phone calls, correspondence including emails, faxes, copying documents and the completion of my register and protocol. Letters, emails and phone calls are charged at a minimum of six minute units or otherwise at the time taken. PREPARATION: includes checking and dealing with any documents presented by you, any instructions accompanying the documents, consideration and drafting of documents before, during or after attendances, attending to any amendments or completing any blanks in the documents, binding the documents securely and dealing with any special requirements or formalities of the foreign country. YOUR OWN PROFESSIONAL ADVISERS: It is not my responsibility to give you legal advice concerning the document. My role is satisfied if you understand the content of the document and that you agree to be bound by it. You are advised to seek the advice of your own independent legal or other competent professional adviser who practises in, or is skilled in, the law of the jurisdiction to which the document will be sent. MY RESPONSIBILITIES: I have to be satisfied as to your identity, your legal capacity, your authority and your understanding and approval of the document I am notarising. In certain instances I may insist on a translation. I shall try to ensure that the document, in the manner of its execution, its form and substance will achieve its purpose. I must be satisfied that it is your voluntary act and that no fraud, violence or duress are involved and that other stipulated formalities either under English or foreign law are observed. If I am not satisfied about any one of those things I will refuse to undertake the matter. FOREIGN & COMMONWEALTH OFFICE AND/OR CONSULAR LEGALISATION: Some countries require a document to be legalised. This the process by which a state agency confirms that my seal and signature are those of an English Notary. The Foreign and Commonwealth Office attach an apostille to the document. Sometimes the document then has to go to the London Embassy for the country to where the document will be sent. The Embassy will then attach its own certificate to the document. Your lawyer will probably advise you of the need for legalisation. If not, you should ask him about it. I shall be able to obtain the necessary legalisation and shall discuss with you time scale and whether we should use legalisation agents or couriers if speed is required. However you can deal with legalisation yourself if you wish. REGISTER & PROTOCOL: At the end of the matter, I make a formal entry of the main details in my register and I keep copies of the notarised document and proof of identity in my protocol. MY LIABILITY: I carry professional indemnity liability cover of £1 million pounds. I therefore limit the level of my liability to you to £1 million pounds, unless you are injured or die as a result of my negligence, in which case my liability is without limit. 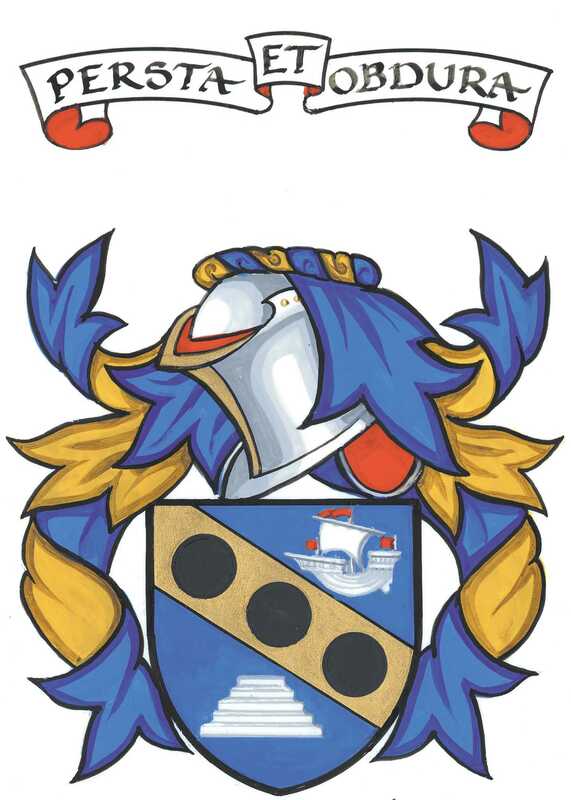 THE RELEVANT LAW: The law which governs my contract with you is English Law and it is agreed that any dispute in relation to my services shall be resolved in English Courts. If you are dissatisfied about the service you have received please do not hesitate to contact me. If I am unable to resolve the matter you may then complain to the Notaries Society, of which I am a member, who have a Complaints Procedure which is approved by the Faculty Office. This procedure is free to use and is designed to private a quick resolution to any dispute. If you have any difficulty in making a complaint in writing please do not hesitate to call the Notaries Society/Faculty Office for assistance. If you decide to make a complaint to the Legal Ombudsman you must refer your matter to the Legal Ombudsman within six months from the conclusion of the complaints process. Notaries are a separate branch of the legal profession. To become a notary under the present regulations, as well as satisfying the Qualifications Board of your existing qualifications as a lawyer you must successfully complete a two year post graduate diploma at Cambridge University. Notaries can trace their roots back to the 13th century. The link with the Archbishop of Canterbury arose because notaries were originally appointed by the Pope. When Henry VIII appointed himself head of the Church in England he passed the duty of appointing notaries to the Archbishop. The status of a notary is recognised throughout the world. Often documents which are to be sent to foreign jurisdictions will only be accepted if they bear the seal and signature of a notary. The notary’s prime responsibility is to ensure that his notarial act may be relied upon by anyone in the world who may receive the document. This differs from the responsibility of a solicitor whose main duty is to his client. This privacy statement sets out how Dr John Kirkhope, Notary Public uses and protects any information that you give when you use this website. I am committed to ensuring that your privacy is protected in accordance with the new General Data Protection Regulations (GDPR). A copy of my GDPR statement may be viewed using this link (opens in a new window). I may change this policy from time to time by updating this page. You should check this page from time to time to ensure that you are happy with any changes. This policy is effective from 1 May 2018. I do not collect any personal information on this website. I accept no responsibility for third party downloads and downloads provided by external third party websites and advise users to verify their authenticity using third party anti virus software or similar applications. Users contacting me by email do so at their own discretion and provide any such personal details requested at their own risk. Your personal information is kept private and stored securely until a time it is no longer required or has no use.  Where I have clearly stated and made you aware of the fact, and where you have given your express permission, I may use your details to send you products/services information through a mailing list system. This is done in accordance with the regulations named in 'The policy' above. I will not use your email address for marketing and will not pass it on to third parties without your express permission.